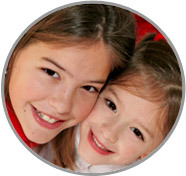 Your Best Suited Nanny in Perry County is right here at ABC Nanny Source! Call Today! Nanny in Perry County Victoria has the flexibility and family background to promote success with any family! Please call 717-221-1020 today to speak with a placement counselor and start your search for the perfect Nanny in Perry County!